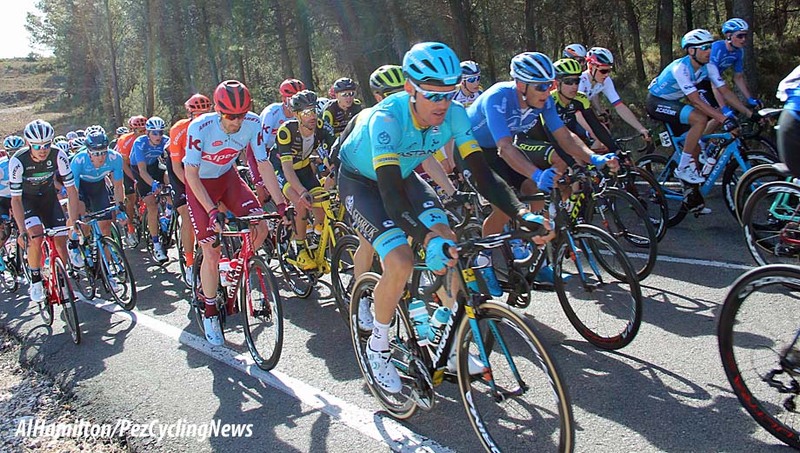 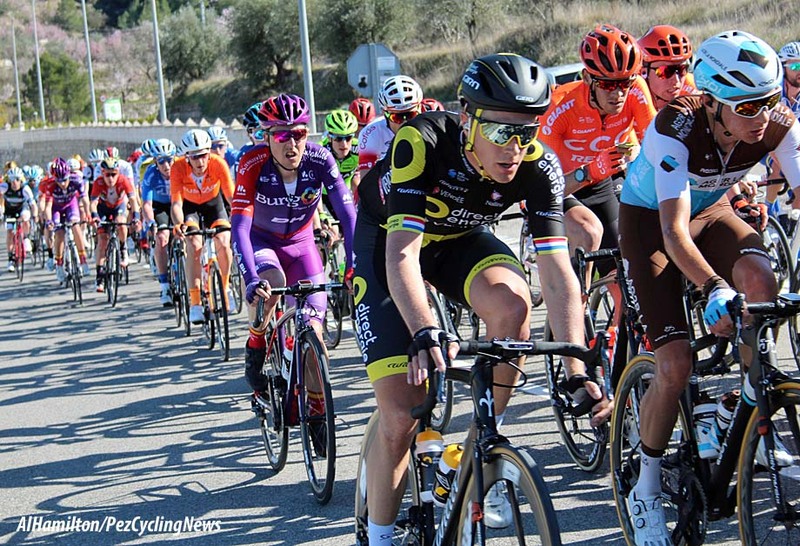 Valencia Stage 2 Photo Gallery: After the easy 'photo-shoot' at the Volta a la Comunitat Valenciana stage 1 time trial, it was time for Al Hamilton to do a bit of 'Race Chasing' as Italian PEZ-man Ale Federico calls it. 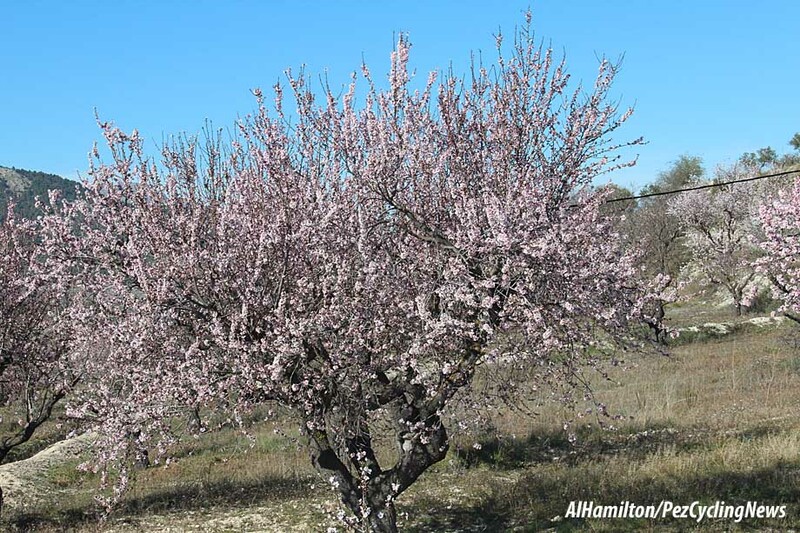 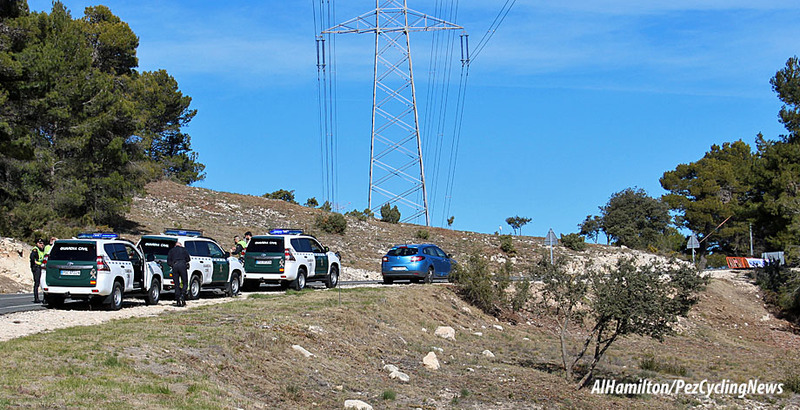 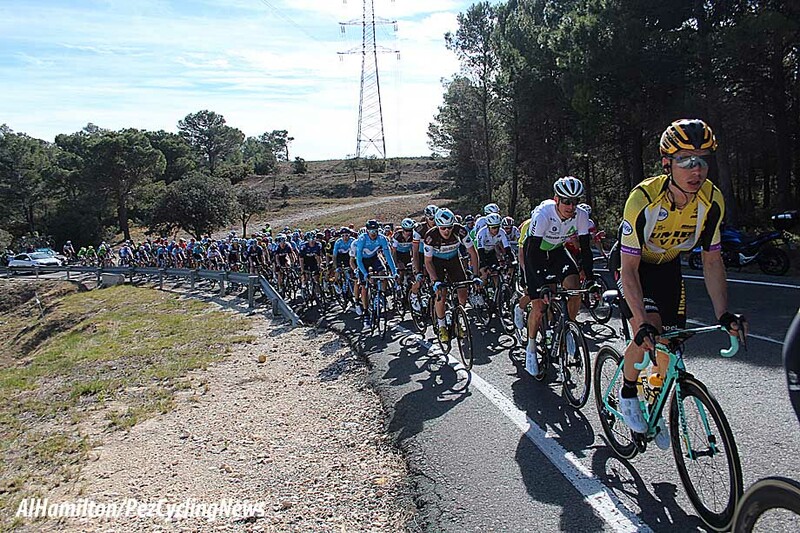 Stage 2 was set in the mountains behind Alicante, take it away Al. 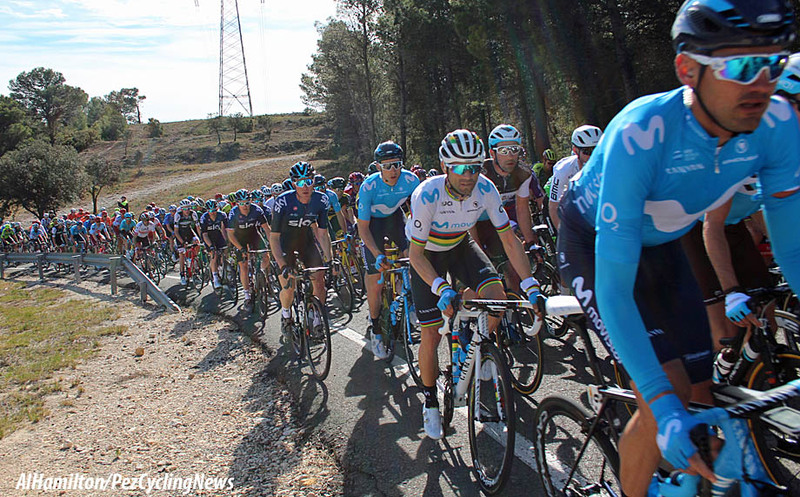 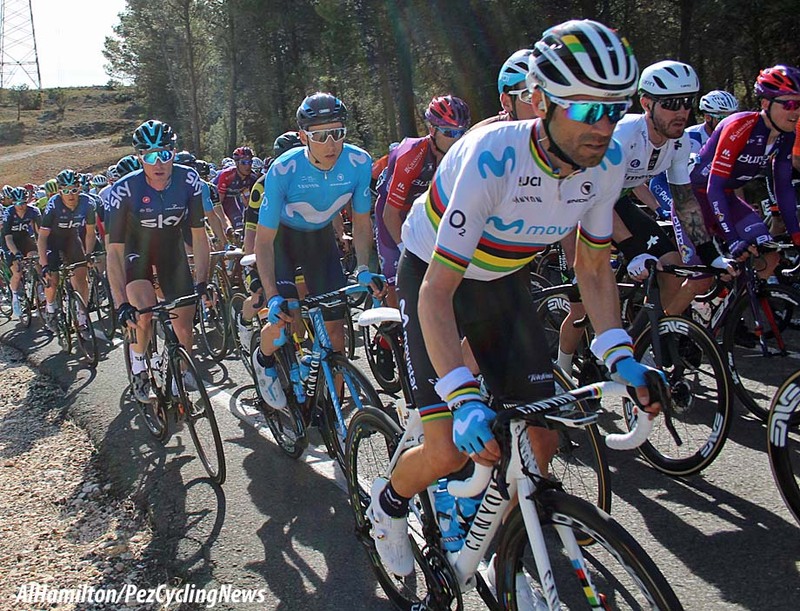 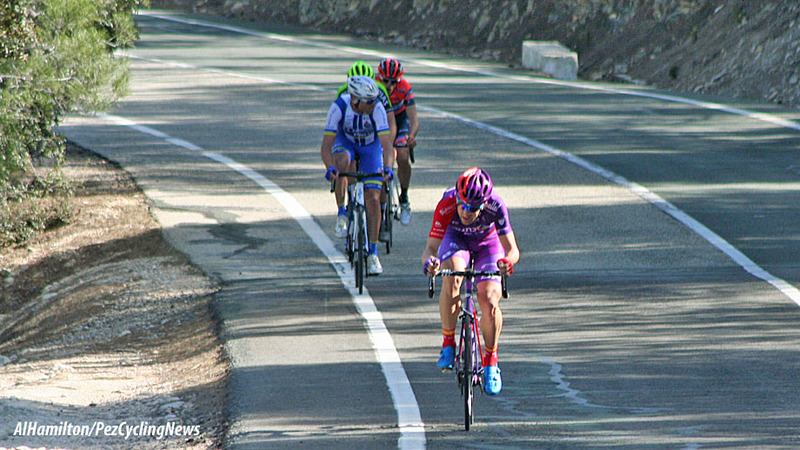 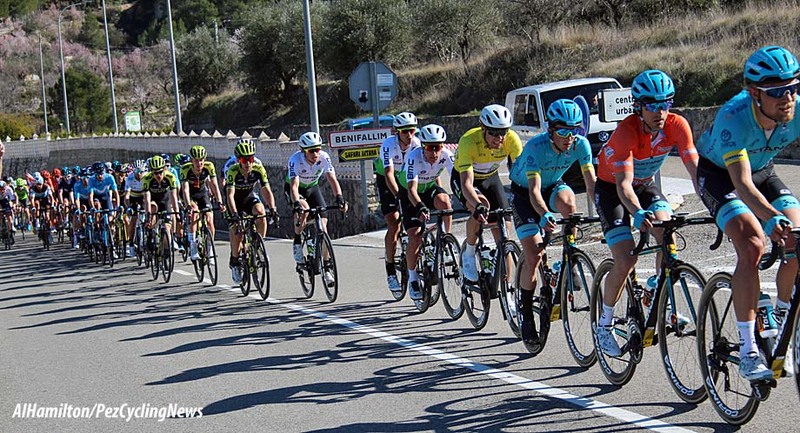 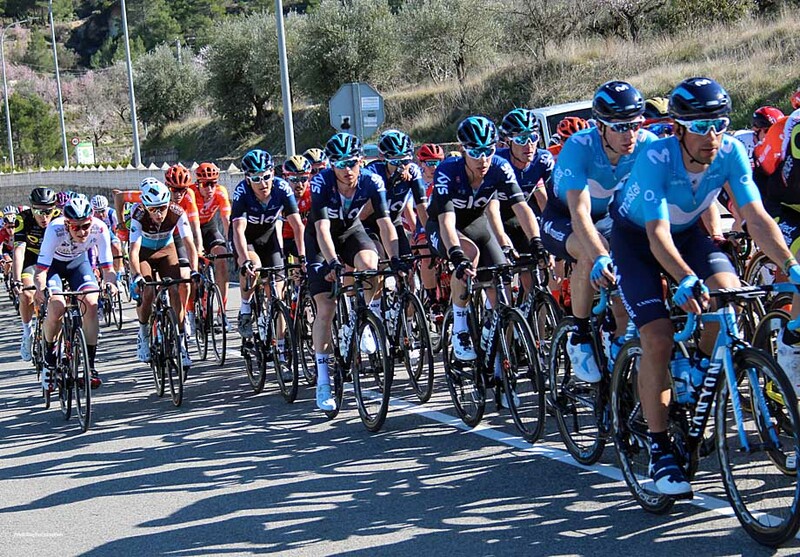 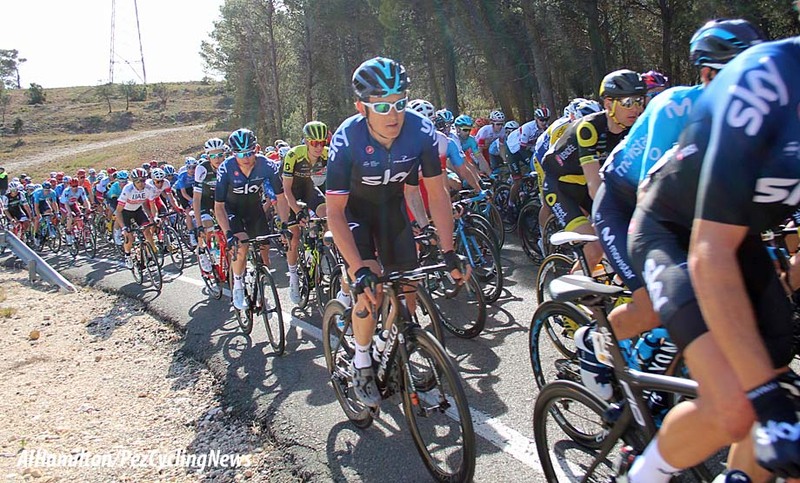 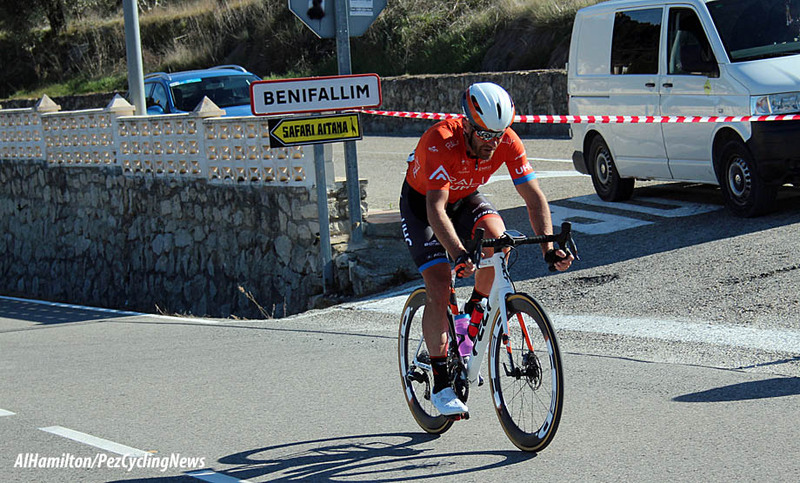 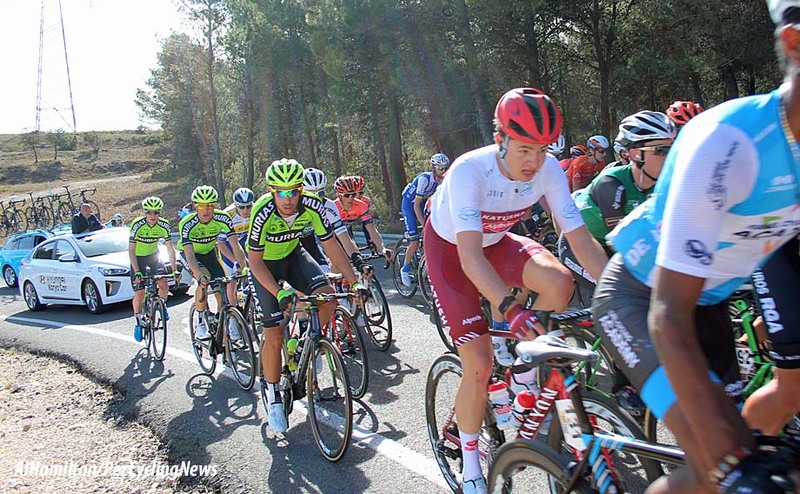 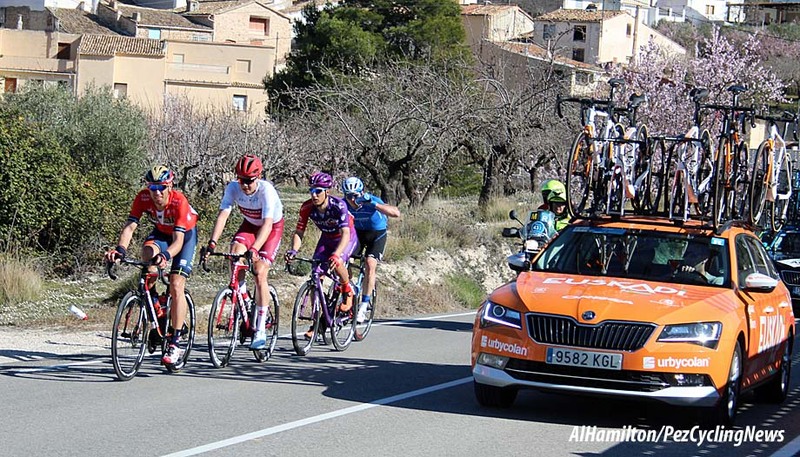 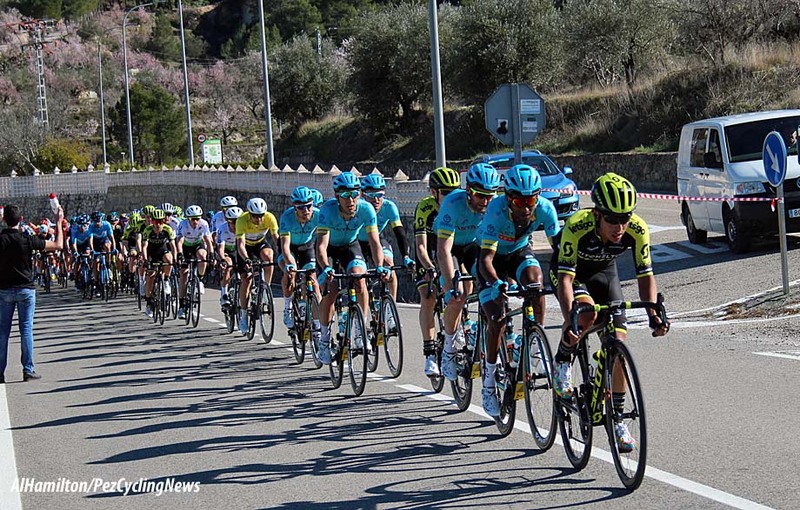 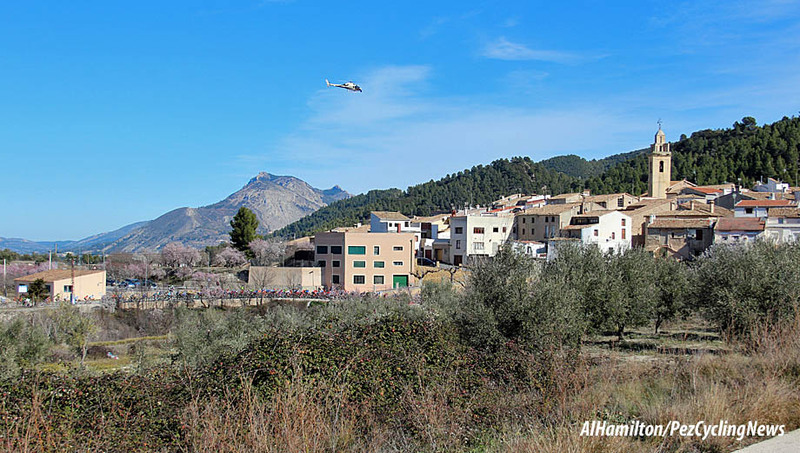 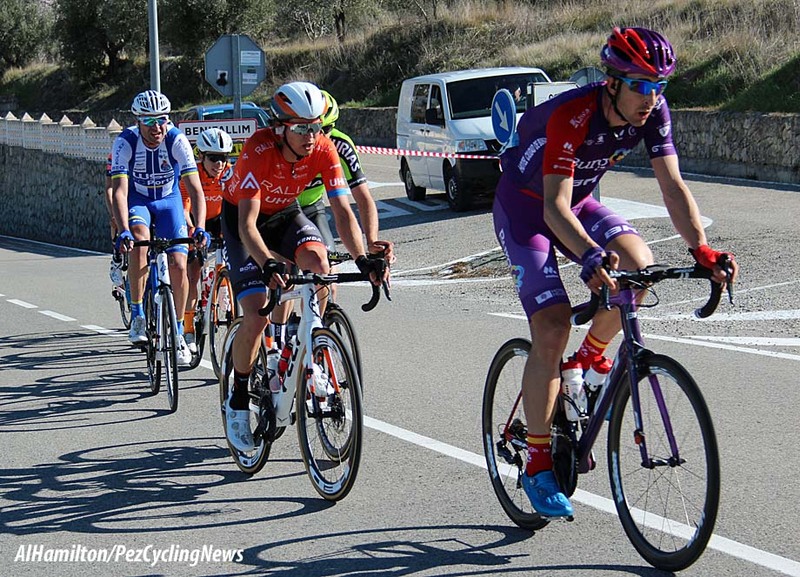 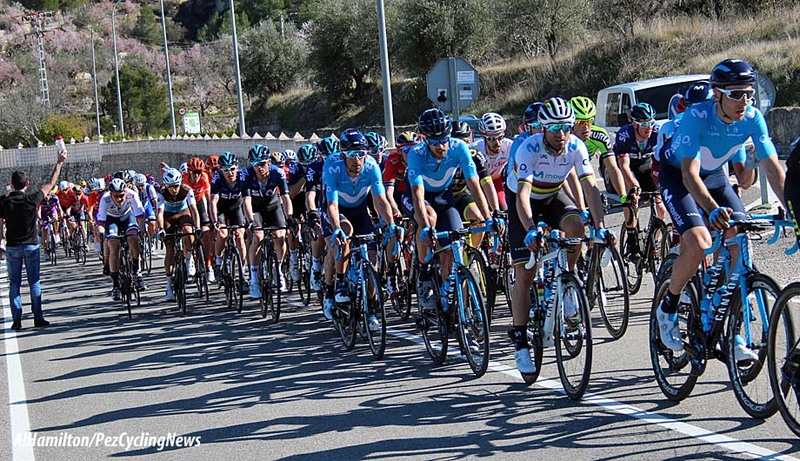 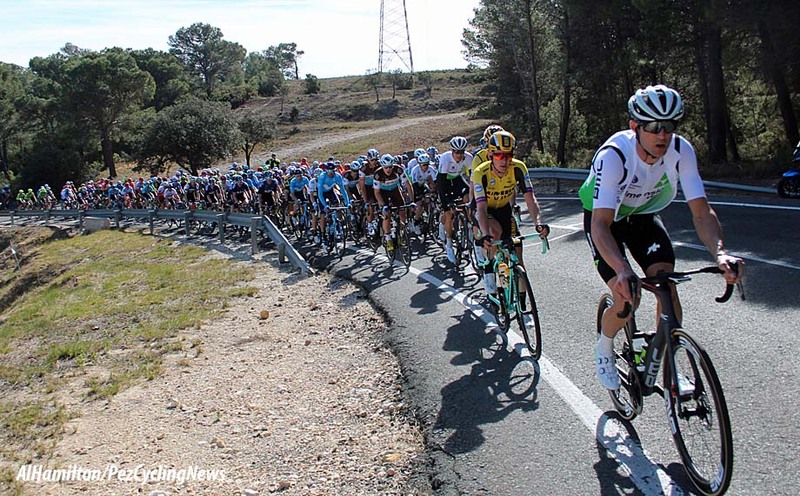 The start and finish of stage 2 was in the City of Alicante, but seeing a race in the hills is always a better idea, so the plan was to catch two climbs; the second of the day called Canalis and the final ascent, the Alto de Carrasqueta. 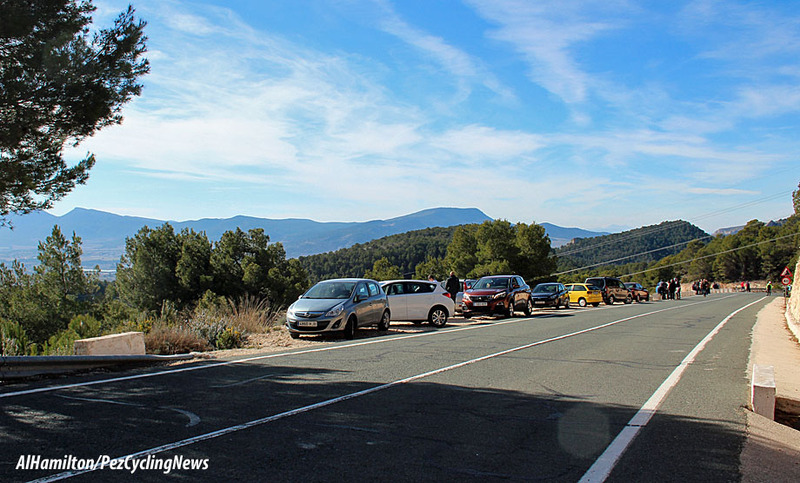 It was a two hour drive to Canalis, just outside Onil. 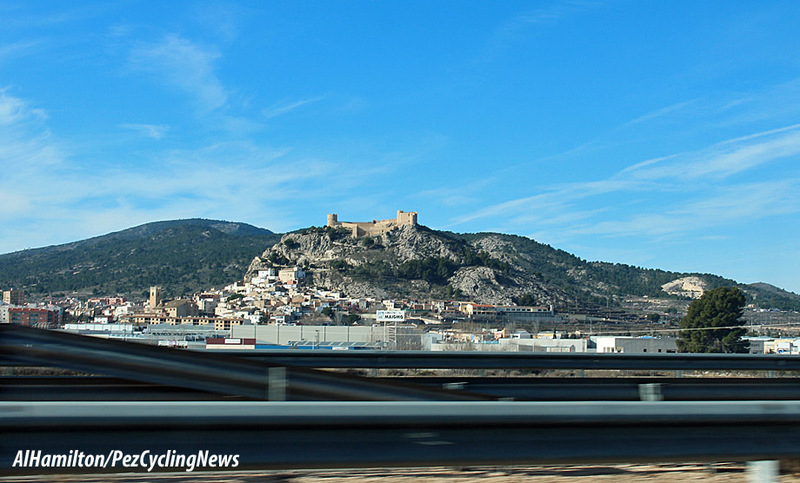 On the way there the countryside is a little dry, even in February, but there are quite a few castles in this part of Spain to break up the monotony. 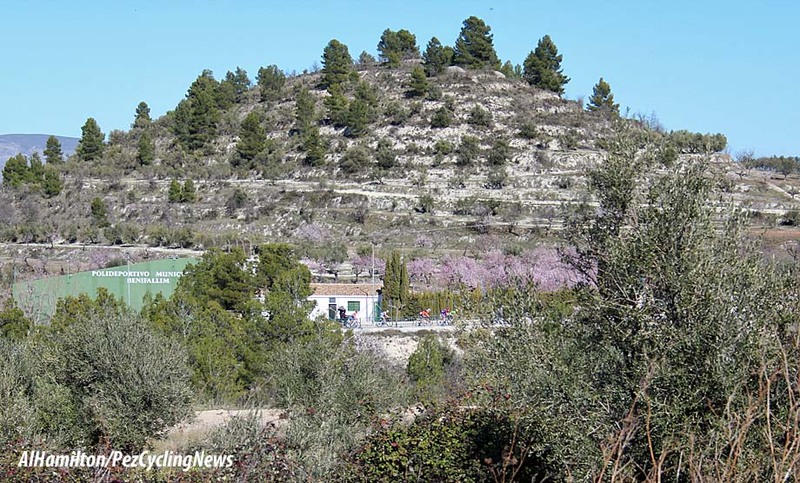 After a crazy drive across the valley and up the other side, I waited for the race in the village of Benifallim at the start of the final climb of the Alto de Carrasqueta. 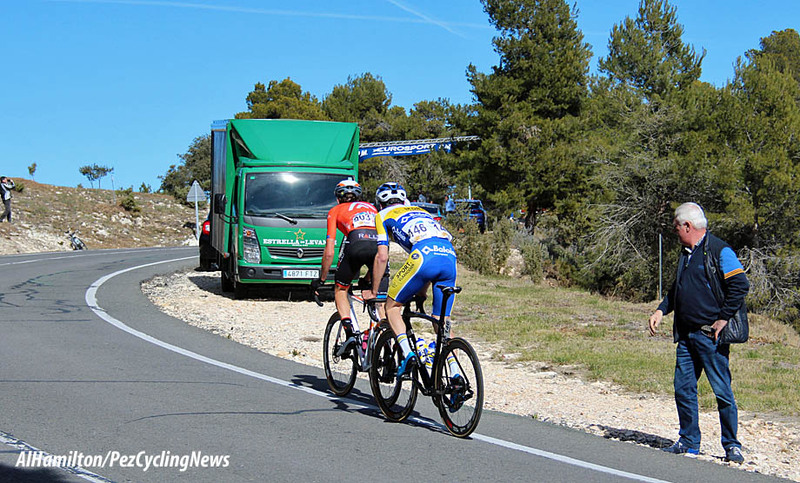 What was left of the break didn't have much of an advantage on the peloton and the team car's had just been pulled out of the gap. 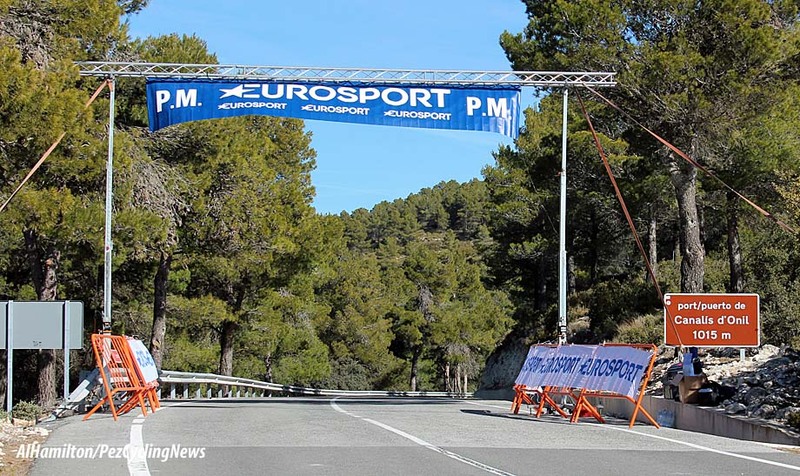 You can see the Stage 1 Time trial photos HERE.